Some people love seeing a fully stocked pantry of delicious food that they harvested and preserved. It makes us feel confident in what you are feeding your family and makes the winter months a little less worrisome. 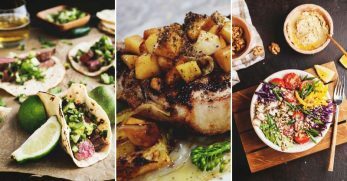 Imagine, knowing every meal for the next few months has already been made. 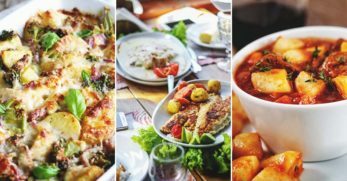 So even if money falls short, your stomachs will not grumble. 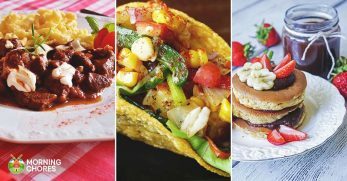 Here is a list of delicious recipes that can help you in your task of filling your cabinets. 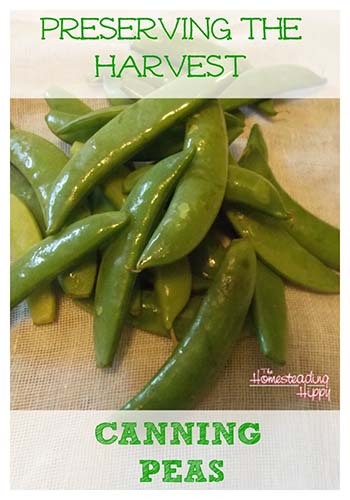 This is a great recipe to help you store your summer harvest. 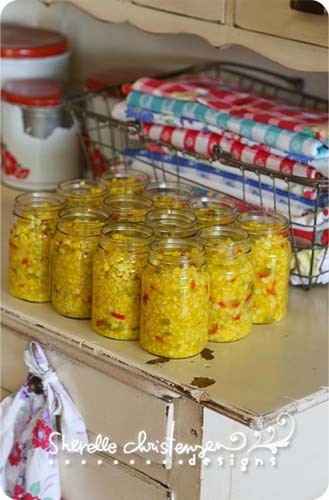 Canning corn does take a little more preparation than other vegetables. However, canned corn can be used in a variety of recipes. 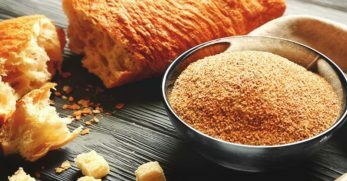 It is a great addition for soups and also a tasty side dish. Nothing can beat the taste of fresh canned corn. Corn cob jelly is an interesting treat. It is a great way to utilize all of your corn harvest to its fullest. When we first made this jelly, I’ll admit I was a little nervous. However, I’m pleased to tell you that it actually comes out tasting like honey. 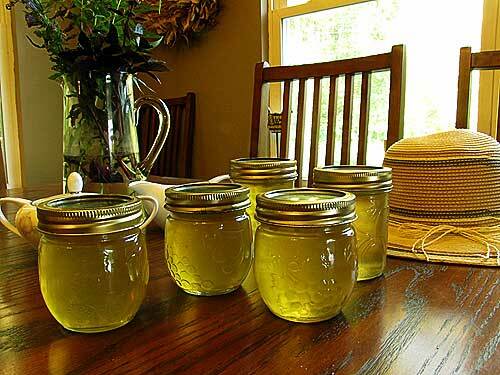 So if you aren’t a beekeeper but love honey, this could be a great recipe for you. Most farmers raise a bunch of green beans each year. They are an easy crop to raise and don’t take a lot to can. Green beans are a great addition to a vegetable soup on a cold day. 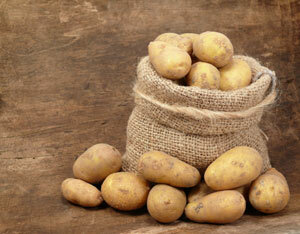 They are also a tasty side dish to any meat entrée you serve. You cannot beat the taste of a fresh canned green bean. Growing peas can be a tricky task. Seriously, we tried for three years before we finally got the planting time and balance right that they finally sprouted and produced. So if you are one of the few that are fortunate enough to be able to grow these beauties, by all means, preserve them. They are a great addition for soups and stews. Creamed peas are a great tasting treat by themselves or within a chicken pie. 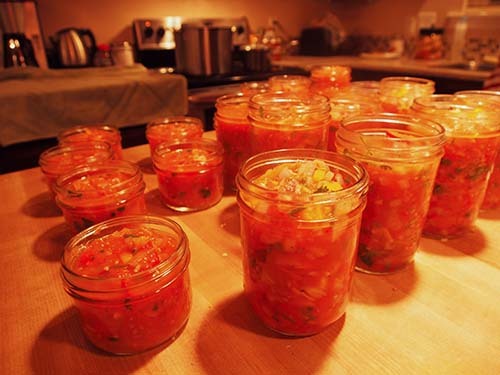 Crushed tomatoes make up the bulk of my canning season. My husband loves to eat these straight from the can. However, crush tomatoes are very versatile. They truly bring chili and other soups to a whole new level of deliciousness. 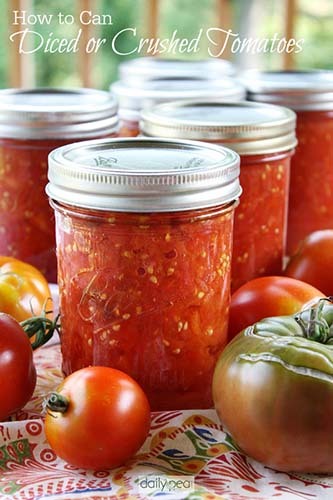 If you grow tomatoes, I recommend canning some. You won’t be sorry. This is a recipe I’m going to have to try this year. I use Rotel tomatoes a lot. The only downsides to them are that I have to go to the store to buy them (and I try to avoid doing that) and the cost is higher to buy versus making them myself. 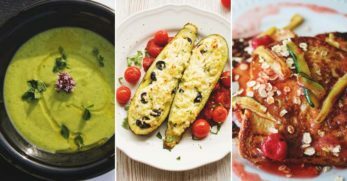 They are great additions to dips, pastas, and soups. So if you can grow, make them yourself, and save money in the process why not try it? 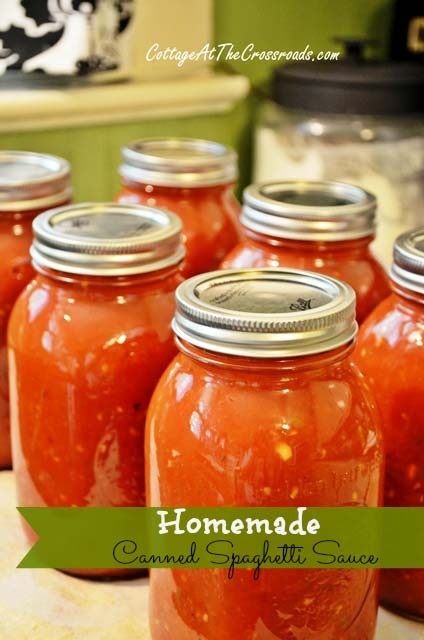 I want to start off by saying there is no comparison between homemade tomato sauce and the store bought stuff. You still have time this year. If you haven’t planted some tomato plants, do it. You might wonder why I’m so adamant about home canned tomato products. The taste is my only explanation. There is a level of freshness that cannot be duplicated. 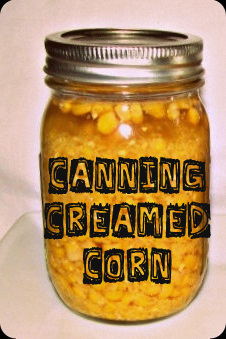 Creamed style corn takes a little extra work compared to regular canned corn. However, I certainly think it is worth it. It is great to go in Mexican cornbread and corn pudding. So now that your mouth is watering (hopefully), it is my hope that you’ll be inspired to take on this task. You won’t regret it. I like canning whole fruits. Why? Because I don’t have to decide at that particular moment what I’m going to do with them. 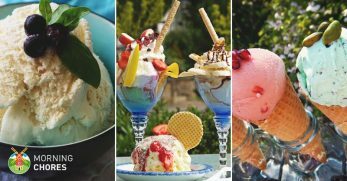 What if you want jelly, jam, pie filling, or a dessert topping? You can make whatever you feel like when you feel like it, if you can the fruit whole. 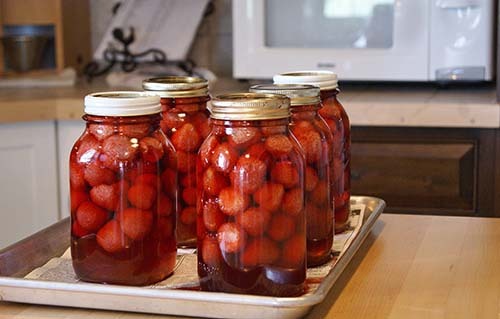 So if you are feeling a little indecisive about your strawberries, canning is a good approach. Blueberries are so delicious, and they are good for you too. So why not can them whole? Canning fruits whole takes a lot of the work out of canning immediately. Then you have the ability to transform them into whatever you want after opening them at the time of use. I’m thinking a blueberry topping for a homemade cheesecake but that is just me and my way of thinking. But I just took the healthy part right out of that, didn’t I? I love dill pickles. They are great on sandwiches, hamburgers, or just as a snack. They are tangy and a little sour which happen to be favorite flavors for me. So the fact that they are super easy to can and cucumbers are not difficult plants to grow, just strengthens my love for dill pickles that much more. Give them a try. 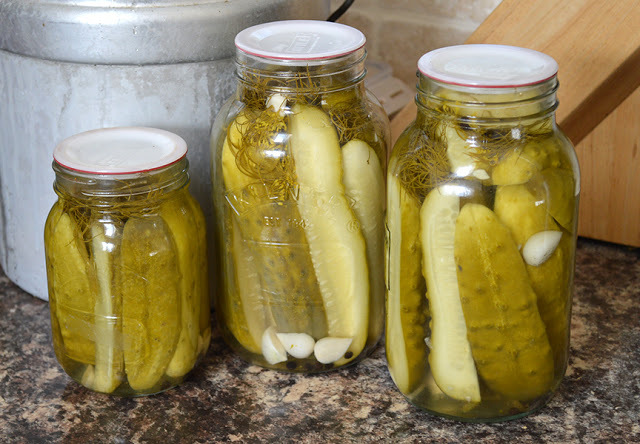 These are my kids’ favorite pickles. I’m a sour person, but they love all things sweet. So bread and butter pickles are their preference. They are super easy to make and can. 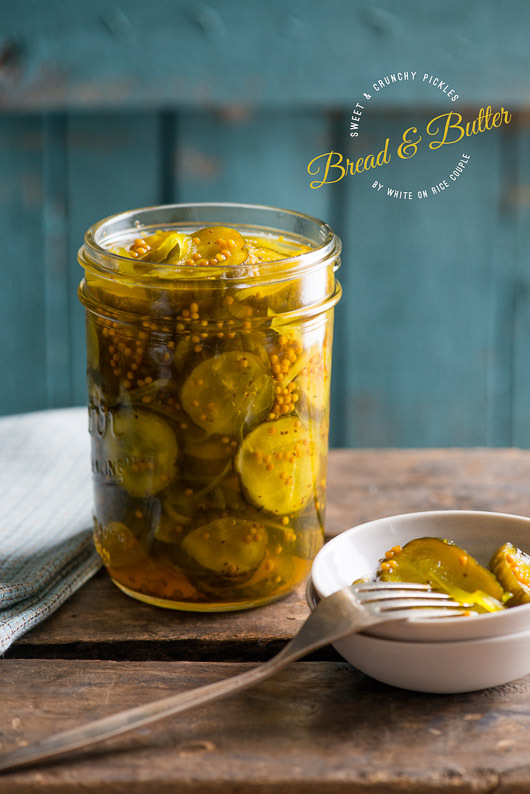 These pickles also taste great as an addition to a quick meal of sandwiches. (As you’ve read here, I’m a sandwich fanatic.) So pickles have a large place in my home. 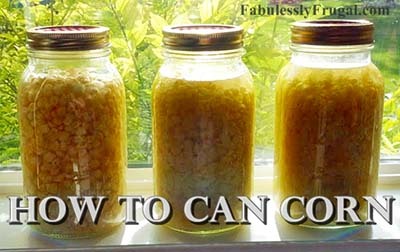 I’m going to try canning corn relishes this year. It looks so beautiful in the jar and it caught my eye because it looks tasty too. I wasn’t raised in the area I live now. 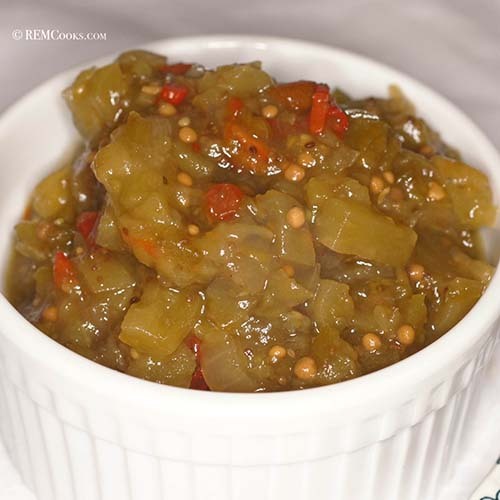 Believe it or not, southerners have some staples in common (like sweet tea) but other things (such as relish) not so much. After 5 years in North Carolina, I am learning to embrace relish and have actually grown to love it. So having it canned and handy on my pantry shelf is a great bonus. Ya’ll are probably going to laugh, but I had never heard of this until I moved to North Carolina. My husband was raised here so he loves it. The first time I saw him pull Chow Chow out to add to his pintos, I had no idea what it was. When he said it was called “Chow Chow” I didn’t know what to think! Now, it is a common staple in my home. The fact that I can make it makes me like it all the more. I love spicy food! The spicier the better in my opinion. 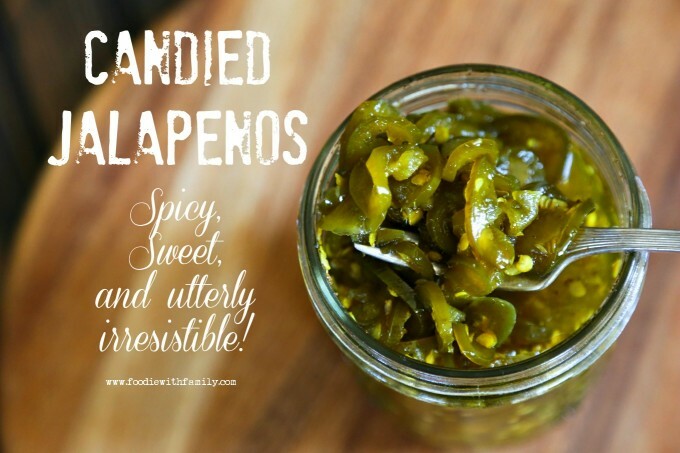 So anything with jalapenos, I’m sold. 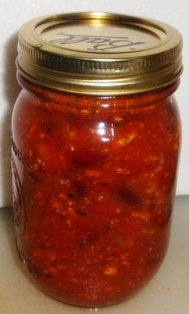 I love to put spicy relishes on my hotdog so to me this would be an excellent hotdog relish. 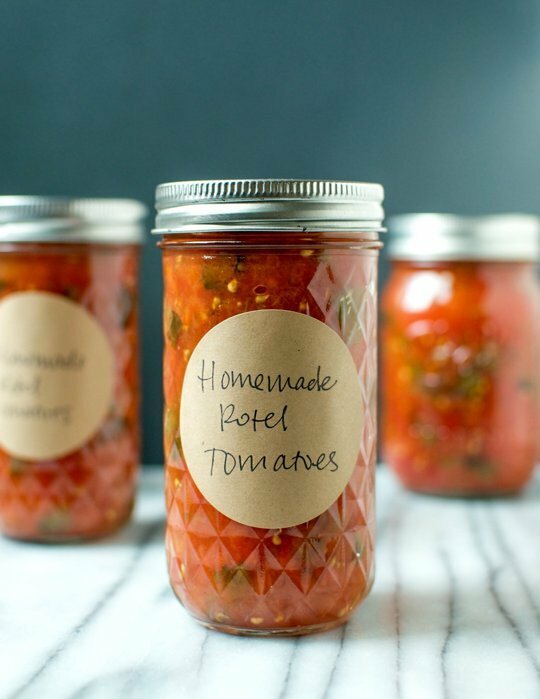 Relishes are super simple to can and add a little flare to any basic dish. 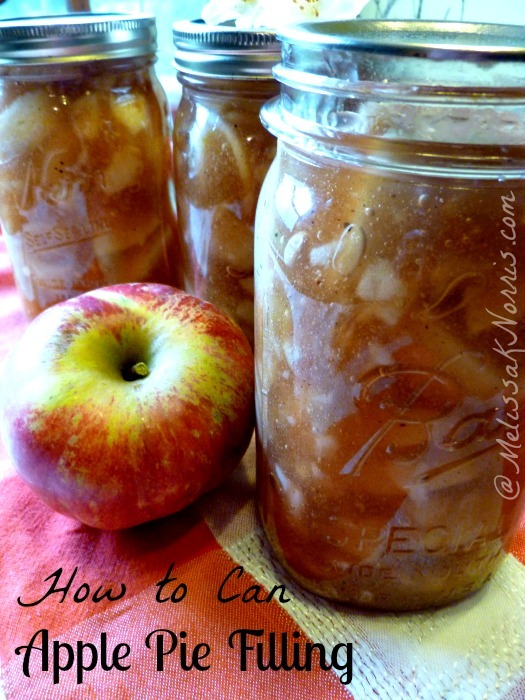 Canning apples is another really easy canning idea. 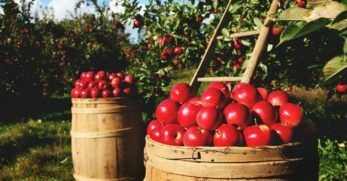 When you prepare your apples they will almost come out like fried apples. Since I am a huge fan of fried apples, you all know I love canning these. Keeping apples on the shelf is always an easy go-to treat that the whole family loves. Nothing beats homemade applesauce. My kids love and so do I. It is great to go with sandwiches for lunch or even a quick snack. 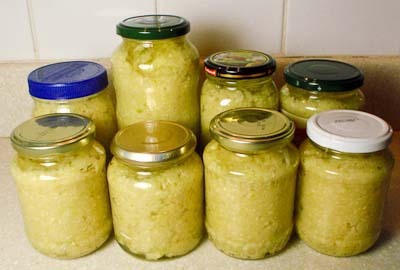 One of the reasons I love homemade applesauce so much is because you can make it whatever texture you want. 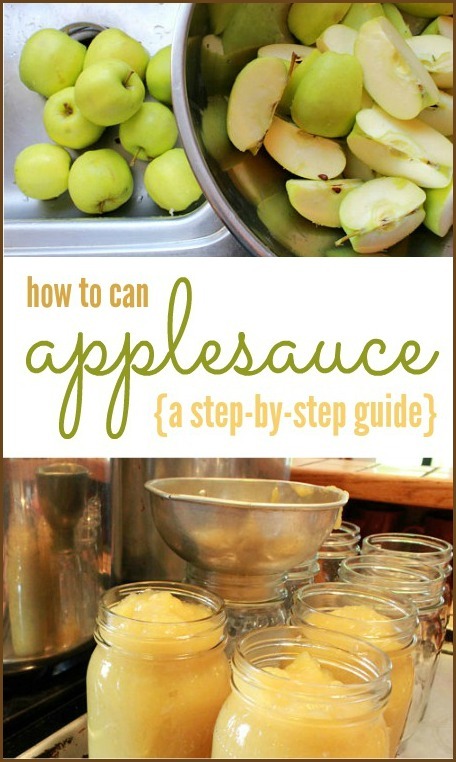 I prefer chunkier applesauce but since you’ll be doing the canning, pick any texture you like. 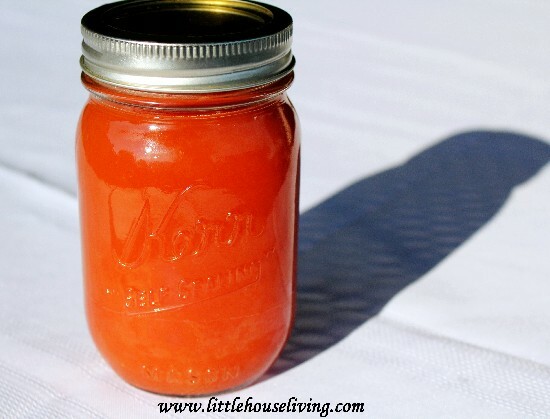 Homemade apple juice is an awesome thing to have on hand. Why? Because everyone loves it. 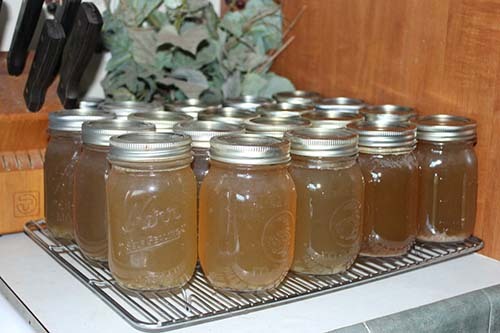 You can save the juice in order to make apple jelly down the road, or you can save it for drinking. Fresh apple juice always tastes great as a cold treat on a hot day. Once you learn how to make the perfect pie crust, pies become a breeze to make. If you can the pie filling ahead of time then you’re really in for a treat. So the next time you are invited to a social gathering, take one of your homemade pies. People will think you are a whiz in the kitchen. And in reality, you are! You just think ahead of time. 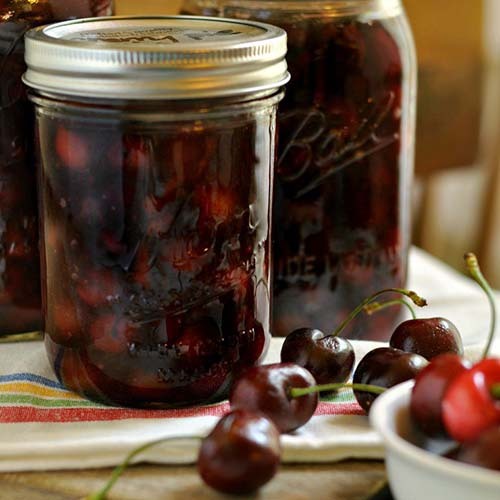 You can use cherries in all kinds of desserts so why not can them. If you are like me and have a thing for cherries then you probably have quite a few cherry trees in your orchard. I know I do! So you have to do something with them all. Don’t waste them, can them. They’ll be on your shelf whenever you need them and it is one less thing you have to buy at the grocery store. Okay, I have to admit, I’m a sucker for pies. I think they are one of the tastiest desserts out there, and they are so versatile. What is my favorite pie? Cherry, of course. So if you can make your own pie filling for your favorite dessert, you’d be crazy not to. Pineapples are actually a fruit that can be grown from its scraps. 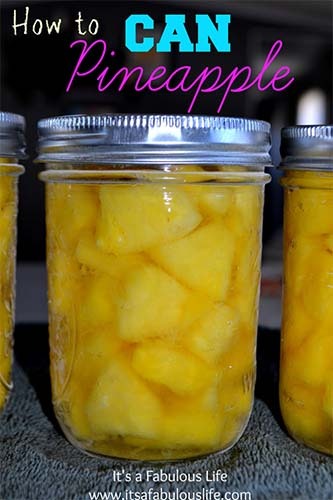 So if you love pineapple (again, like me) then you’ll be interested to know you can preserve pineapple yourself. 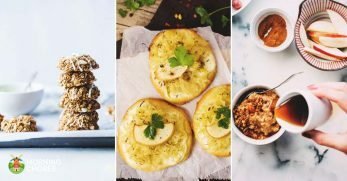 Since pineapples are so delicious, healthy, and can be included in so many dishes they are a great item to keep on your shelf. It will save you money too. 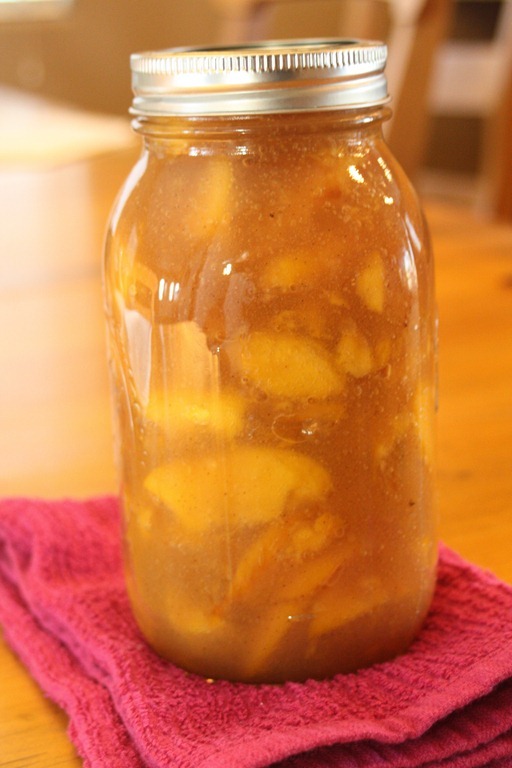 Peaches were one of the first items I started canning with. They are very easy to process and good for you too. What makes it even better is they are a healthy treat that I can constantly keep on my shelf. Beyond that, they can be transformed into peach jam or pie filling too. Well, speaking of pie filling, here is a great recipe to can your own. Believe it or not, I’m not a peach pie fan. I know, crazy, right? But I’m not. However, that doesn’t stop my family from loving them. 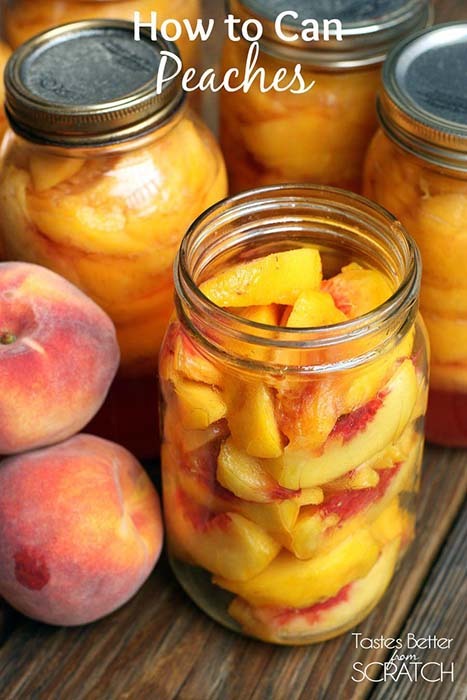 So guess who spends a lot time during the summer harvesting and canning peach pie filling? That’s right…..me! Give it a try, you might love peach pie too. The first time I heard you could can lemons I was amazed. I had honestly never thought of it. However, if you like lemon in your tea then you must give this a try. I actually grow lemons, but you can buy them really cheap during the summer. Then you just take them home and can them. 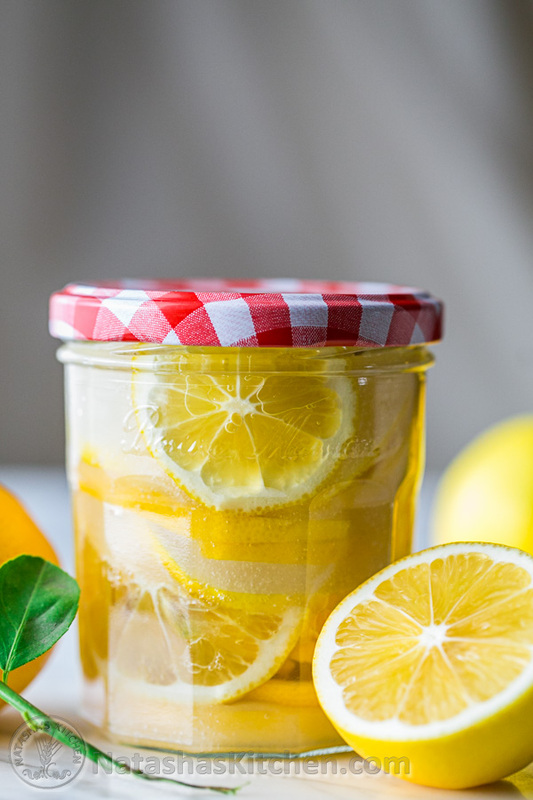 You’ll have lemon for your tea year round. 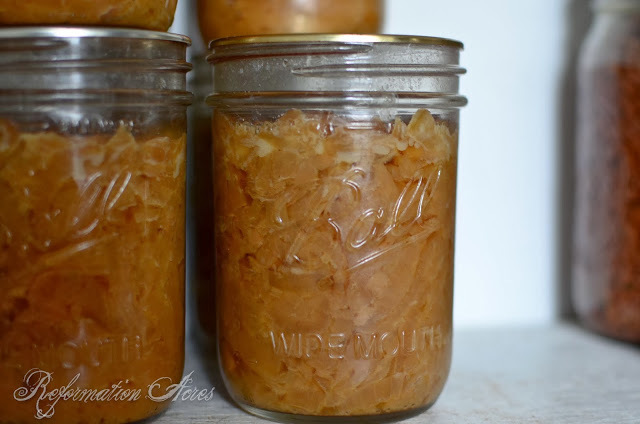 If you cook a lot then you probably like caramelized onions. They can really turn a dish into something spectacular. However, if you homestead you might not always have the most time on your hands to cook super fancy meals. That’s okay. Can your onions ahead of time and then dump them into your dish. They’ll add a ton of flavor and no one will know that you prepared them months earlier. We are garlic people. My husband loves garlic in anything he can convince me to put it on. I usually don’t mind as garlic is really good for you. But have you been to the store to buy minced garlic lately? It gets costly and fast. So why not can your own? 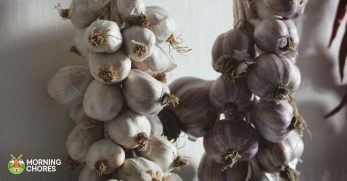 You can grow garlic yourself but even if you choose not to, you can buy it in bulk from produce wholesalers and still make your own. I’m waiting so impatiently to can this myself. I just started growing my rhubarb last year. I’ve heard so many good things about home canned strawberry rhubarb pie filling. My mouth is watering just thinking about it. So if you are lucky enough to already have your rhubarb up and going. Or if you know where you can buy some super cheap then go for it. Mix it with your strawberries and make an amazing pie. 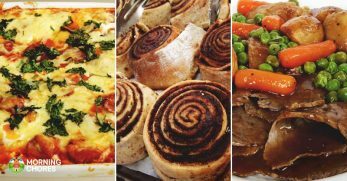 Can some so you can have those same delicious pies in the colder months. 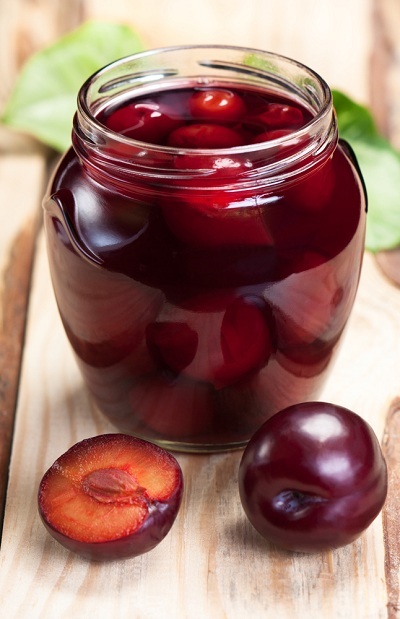 Plums are a tasty yet often times forgotten fruit. I personally love them. I also grow them so I have to find a way to can them. Well, here it is. Part of the reason I love plums so much is not just for what you can make from them but how easy they are to grow. We started our orchard a few years back and our dwarf plum tree has done the best out of all of our other fruit trees. So what more do you want? Easy to grow, easy to can. 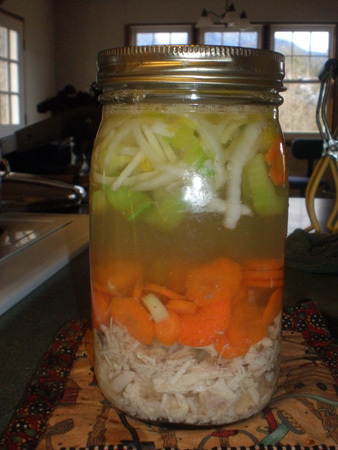 I make a lot of soups and most call for chicken stock. Why go to the store and buy it, if I can make it? Well, if you’re going to make it then take it one step further and preserve it. The taste is amazing and the savings make it that much better. It also helps you to not waste parts of the chicken if you butcher your own. It is just one more way to be frugal and make the most out of what you have. I’m a chicken snob. There, I admitted it. I truly am, though. I will not eat store bought canned chicken. It just has an unnatural taste. So what do you do if you are a chicken snob like me? You can your own, of course. I instantly feel better knowing what I’m eating and how it was preserved. 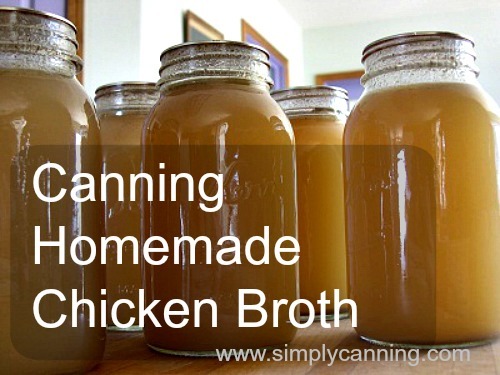 Hopefully you’ll enjoy your canned chicken as much as I do mine. 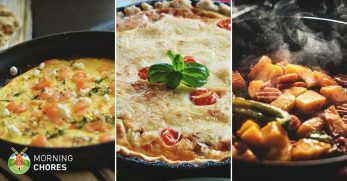 Do you ever have those nights where you don’t feel like cooking? Yes, me too! I totally get you. Days are long at times, work is tough, and it seems there aren’t enough hours in the day. Well, don’t fret. You can make this chili ahead of time and preserve it. That way on those crazy days where cooking seems undoable, it’ll be there waiting to be warmed and eaten with a side of cornbread or slapped across a hotdog. Yes, you can actually preserve roast beef. Crazy, I know. But you really can. 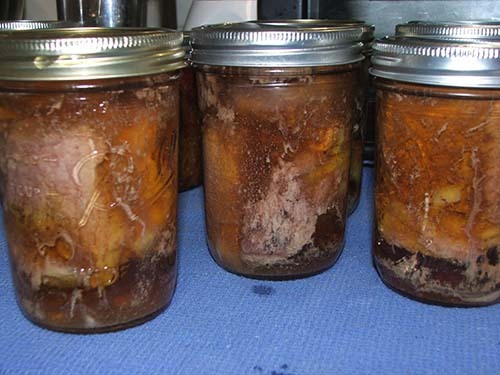 Most canned meats come out tender and juicy because of the pressure canning process. 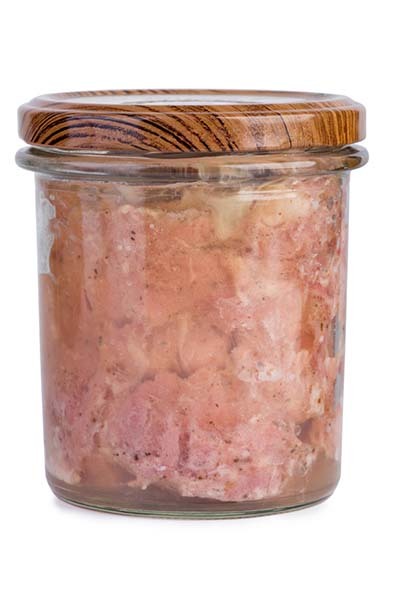 So if you are looking for a way to preserve some of your beef, other than freezing, this could be a great option for you. The first time I heard someone tell me that I could can ground beef, I was a little shocked. 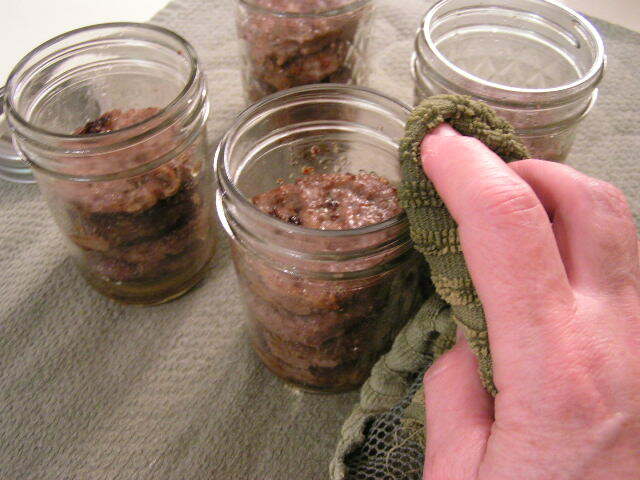 You have this idea in your head of food that you preserve and foods that you just don’t. That was one on my ‘just don’t’ list. However, I have since changed my mind. The reason is because even during power outages my meat is protected. I love the fact that it is already cooked too. So no danger of forgetting to thaw out the meat for supper. 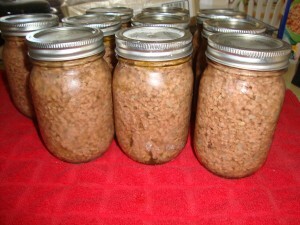 My mother in law was the first person to introduce me to canned breakfast sausage. It blew my mind that you could patty up your sausage, cook it, can it, and open it any time you wanted it for breakfast. Does that not sound like the original convenience food? I guess it was, only healthier with less preservatives. My husband is a YouTube junky. He always researches to see what we can do next. When he mentioned the idea of bone stock I thought he had lost it. However, after we made it I’m now a believer. 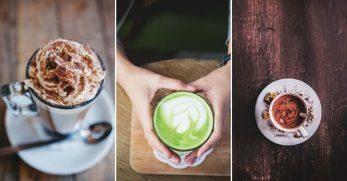 It tastes great, is very cheap to make, and is really good for you. You can make it from just about any bones and it makes a great base for soup. I try to can anything that we grow. I love to have it put back for the winter months. 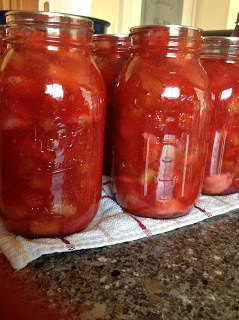 Another obsession of my canning is how pretty it looks. Weird probably, but I love all of the different colors sitting in my pantry. 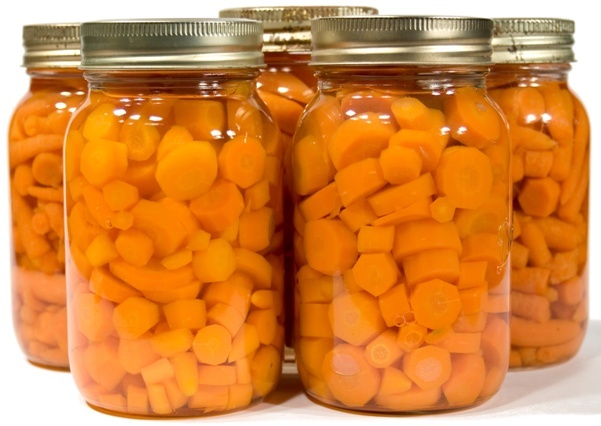 This is one reason why I love canning carrots. 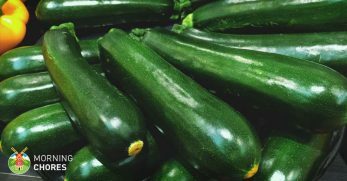 They taste great, are great for soups or side dishes, but they also add a splash of color to my kitchen that not many other vegetables can. I love them for that. 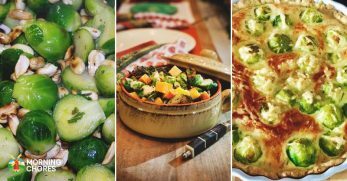 Vegetable soup is a go-to in my house when I need something healthy and quick to feed my family. Why not take it one step further and have it already canned so all I have to do is warm it up? 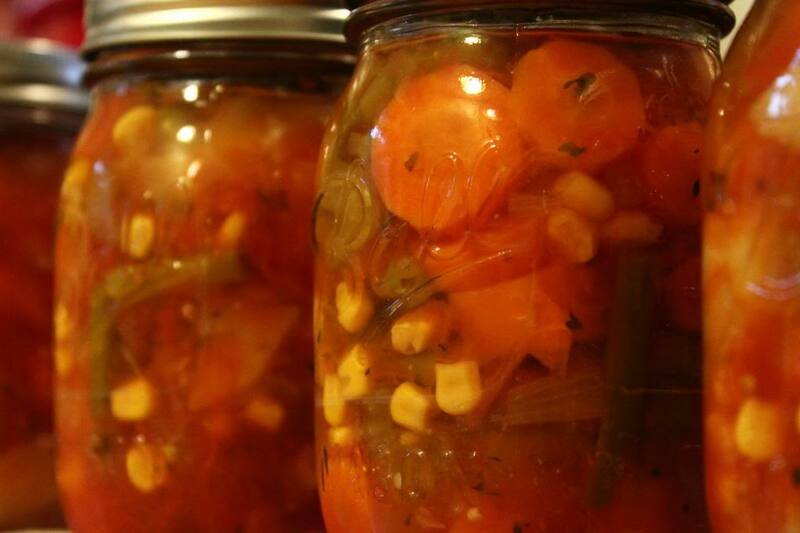 Canning your own vegetable soup is borderline ingenious. The way I look at it is, I’m in the process of divorcing my local grocery store. Anything I would normally run to them for I try to make it myself. Less dependence and less money spent is a win, win for me. This recipe actually makes chicken noodle soup without the noodles. I’m personally okay with that. If I’m having a noodle kind of day, I can always add some to the soup when I’m heating it up. So again, if you can make your soup at home, go for it. That way you know what you are eating and where everything came from. Okay, so apparently I’m as much of a soup person as I am a sandwich person. I love how these posts point things out to me that I’ve been in denial about. But I digress, homemade tomato soup is inexpensive and delicious. 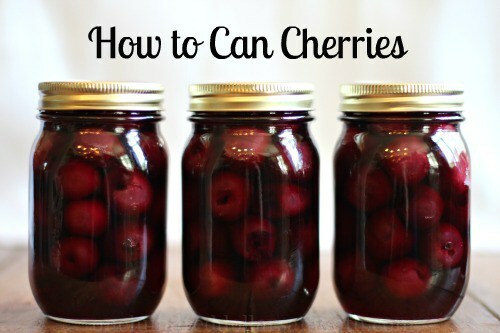 If you eat it often, I highly recommend canning your own. 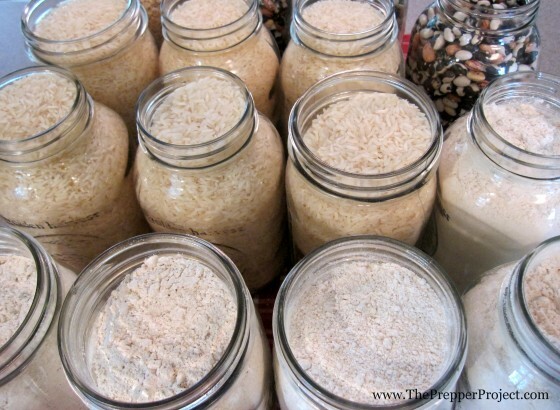 Yes, you can preserve your flour and dry goods through what they call dry canning. It takes place in your oven. So why is this necessary? Well, if you are a prepper it is a good idea. 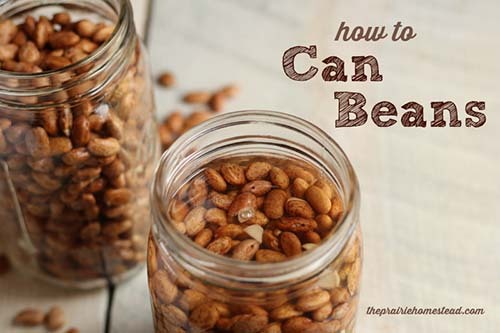 If you are not, then you can buy in bulk and store your dry goods this way. That way you can get it a much better deal and not worry about bugs getting into it. I love the way this jelly looks. Again, it’s a pretty colors thing for me. 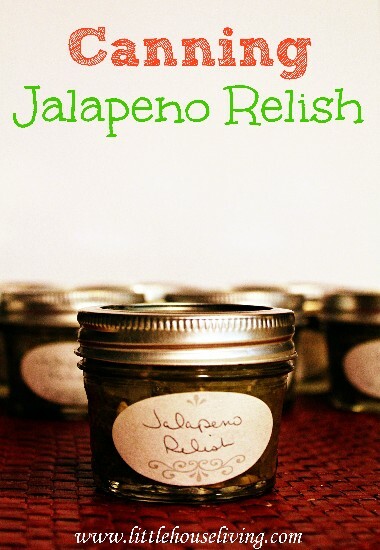 I have never actually had jalapeno pepper jelly but after reading this recipe, that is going to change this year. We grow a lot of jalapenos each year because, as I mentioned, we are spicy food people. So this is one more way I can utilize them and get my spice fix too. 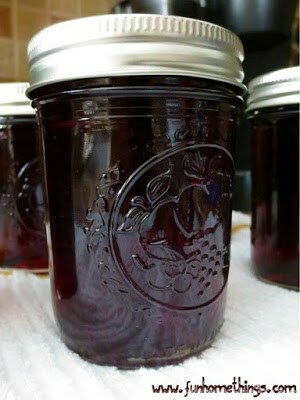 Grape jelly was the very first thing I ever canned. I will never forget it. I was scared to death and blown away at the same time. Looking back, I’m not really sure why I was so scared. I guess because I had never realized I could make what I was buying at the store. But I did and it turned out great. 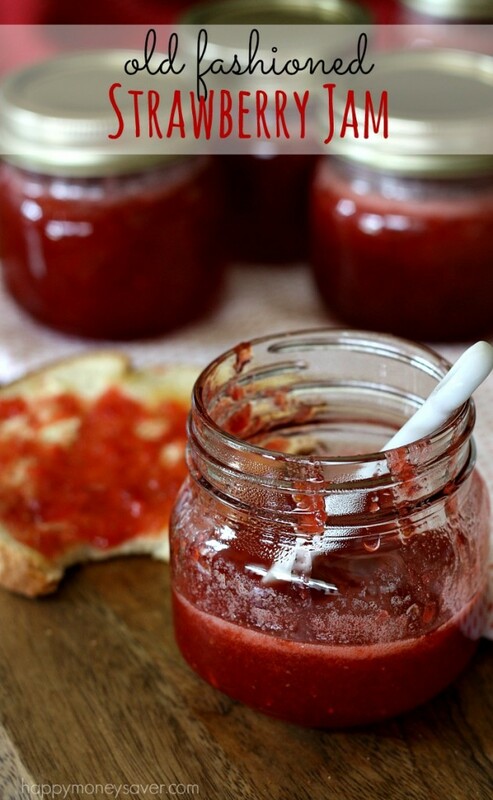 My kids love my homemade jelly and don’t want the store bought stuff anymore. So needless to say, I recommend this even to the newest of canners. 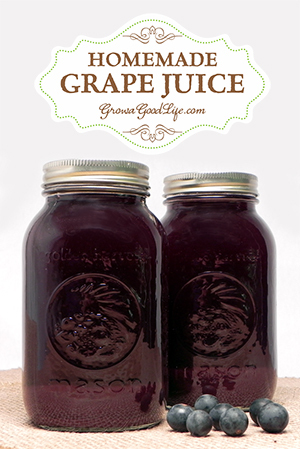 Making your own homemade grape juice is a dream of mine. I’m actually growing multiple grape vines as we speak, but I don’t have enough produce to make juice out of them yet. However, once I do, it is great to have juices stored for drinking purposes but also to make jelly when I want to. It makes the process much shorter. So why would you ever can whole grapes? 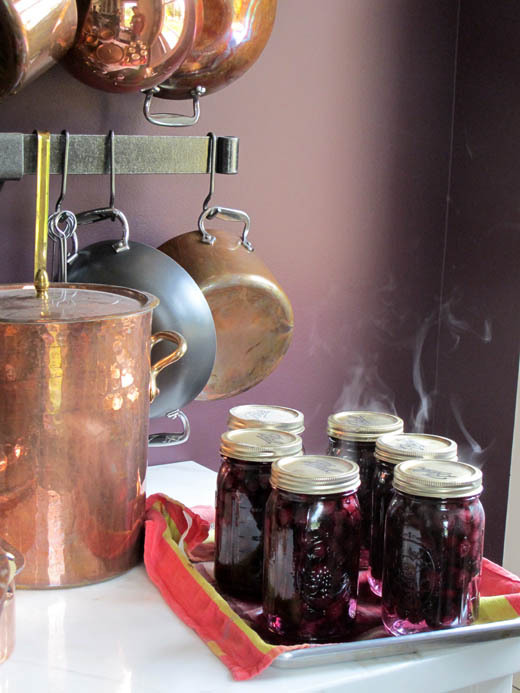 To eat, to turn into juice or jelly, and a lot of times because by the end of the canning season you are tired! 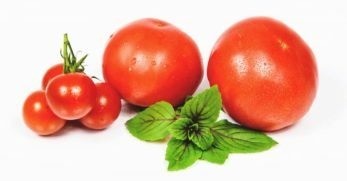 When you look in my pantry and start seeing that I’ve gone from making crushed tomatoes to canning whole tomatoes, it is because I’ve run out of steam. 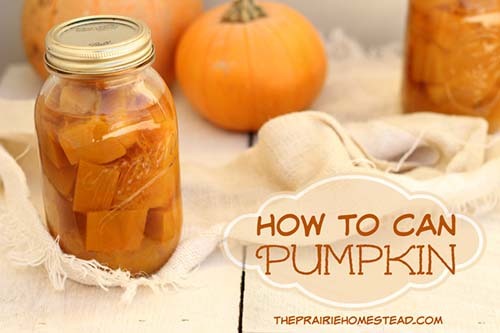 So it is important to know how to can things whole because let’s get real, canning a whole seasons worth of food for a large family can be exhausting. Strawberry jelly is my absolute favorite jelly. I love it homemade, on biscuits, and it is my preference on a peanut butter and jelly sandwich. It is not difficult to make but tastes wonderful. To be honest, strawberry jelly is why I grow such a large strawberry patch. I highly recommend trying it for yourself. 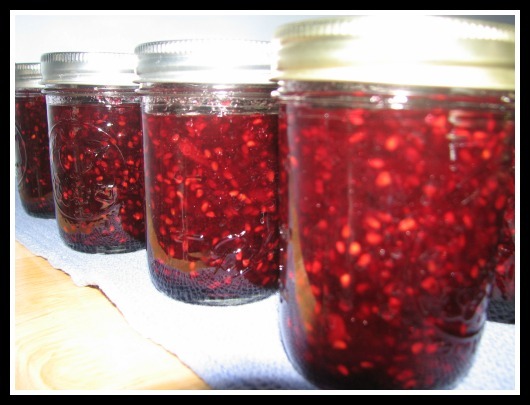 I love blackberry jam. Why? Because it is so good on toast or biscuits. We have a great little blackberry farm down the road from our house, and I go there every year just to buy more blackberries to make jam with. We have blackberry bushes that are (hopefully) going to yield its first good harvest this year. I see a lot of blackberry jam in my future. I love pork and beans. They go great at summer cookouts with hamburgers and hotdogs. 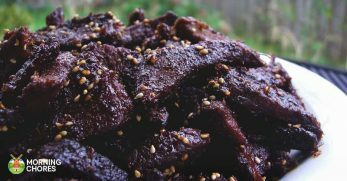 They are also great during the cold winter months as a side to venison or any other meat for that matter. So of course, if I can make them myself, I’m sold. They are little more extensive to make than some other recipes but totally worth it. I have a large family. Because they need protein and meat can be expensive (outside of what we raise ourselves) we eat a lot of beans. 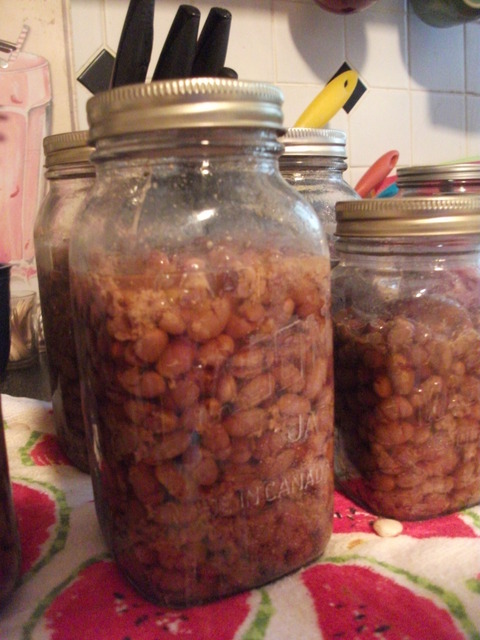 The reason I love to can dry beans is because cooking beans from their dry state takes a lot of time that I usually just don’t have. So if you can them, they are on the shelf ready to go as soon as I need them. Canning okra? Well, yes, you can. It is a healthy option to storing it for future use. 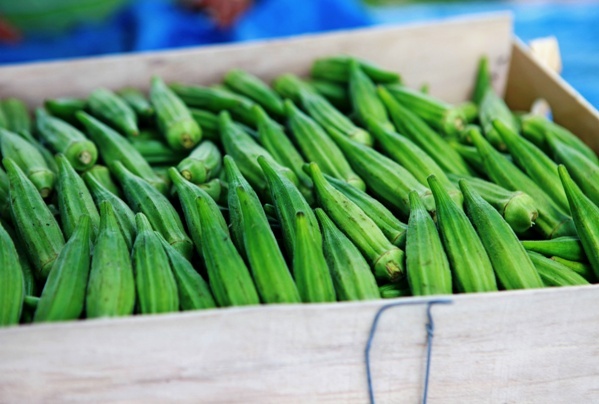 Okra is an easy vegetable to grow in your garden and scrumptious too. So if you can grow it and preserve it, I recommend going for it. It is just more of a variety for you to eat on later. 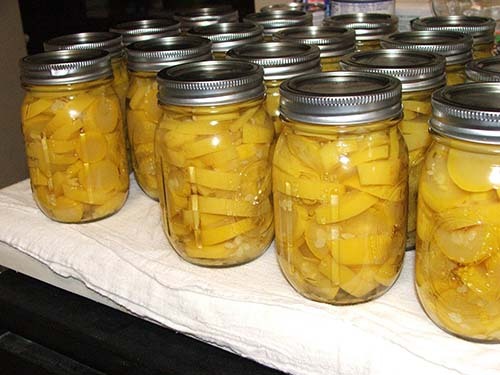 Again, my mother in law was the one that introduced me to canned squash. I use to only like squash breaded and fried or sautéed fresh. However, after I discovered canning them they taste great being sautéed from the can or in squash casserole. 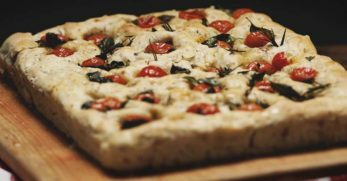 It is so delicious and one more way to utilize your garden. I like to grow pumpkins. My main reason is to feed them to my chickens and goats for worming, but I have other uses too. My family loves pumpkin baked goods and our dogs love pumpkin too. It is good for their coat. So I can pumpkins in order to make them all happy. It is easy enough to do, and it also ensures that nothing in our garden is wasted. You can preserve both white and sweet potatoes. I recommend trying them both. The reason is that they are so easy to grow, and they are good for you. 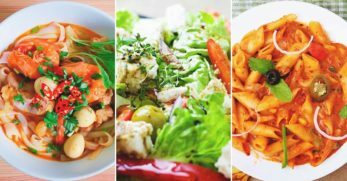 So the easier we make eating the food that is good for us, the more likely we are to eat it. Not to mention, they taste great when canned. I had never heard of canning butter until I spoke with a lady at church about it. She said that any time that butter goes on sale she takes it home and cans it. 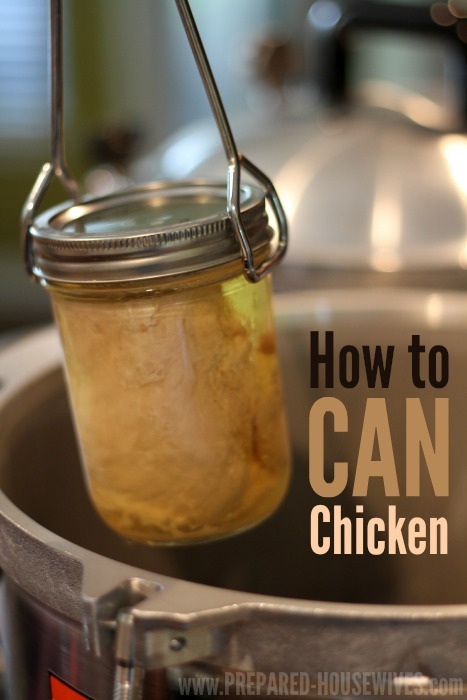 You can actually take it one step further and make your own to can. But this has the potential of saving you a lot of money. 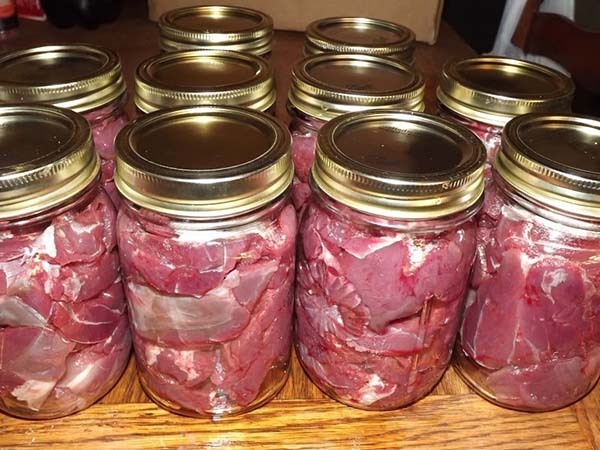 We canned a lot of venison last year. My husband has a cousin that loves to hunt and so does his immediate family, but they don’t like meat. So we end up being the beneficiaries to their joy of hunting. It works out quite well, and we are very appreciative. I make a lot of deer tips and can them. They taste great over rice with gravy. We raise rabbits for meat. I enjoy raising rabbits, but they are the one animal we raise that it bothers me to butcher. Don’t get me wrong, I do it anyway, but after going through that I want to make sure their meat is preserved in a manner that it will be utilized. 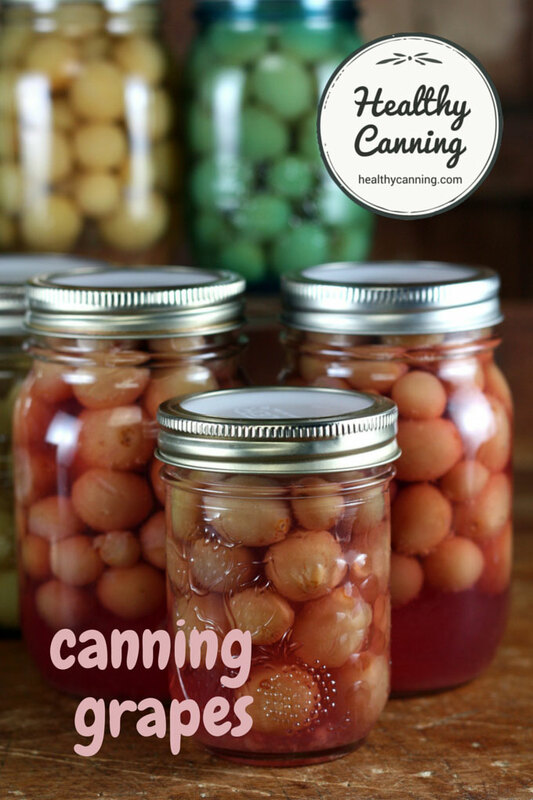 Canning is that preservation method for me. The meat is tender and easy to use. My family and I are salsa junkies. We love it on everything. You can put it on your eggs, dip tortilla chips in it, put it on a burrito, the list goes on and on. It goes without saying that fresh salsa is so much better than anything you can buy at the store. It is less expensive too. So if you love it like we do, I recommend canning some salsa. I use to love salsa Verde and then I got over it for a while. I’m back to loving it again. So this year, I’m growing tomatillos just so I can turn them into salsa Verde and preserve it. 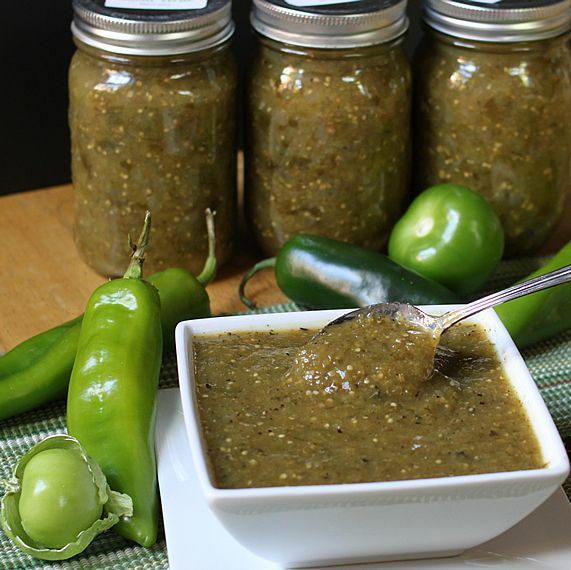 Anything I use salsa on, salsa Verde does the same trick. It is great tasting, and I find it fun to eat different colored foods. So the idea of smearing green stuff all over something before you eat it, makes me happy and entices the kids to try something new. 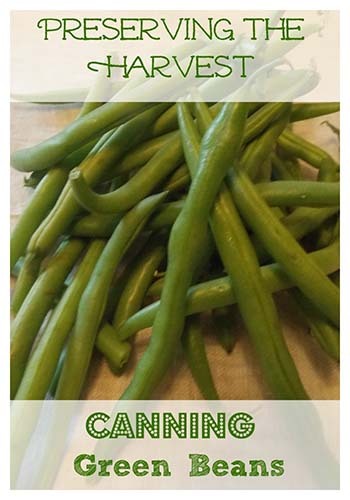 This is a recipe I have passed over in my canning book for years now. Why, I don’t know. But after reading the recipe I’m going to try it this year. 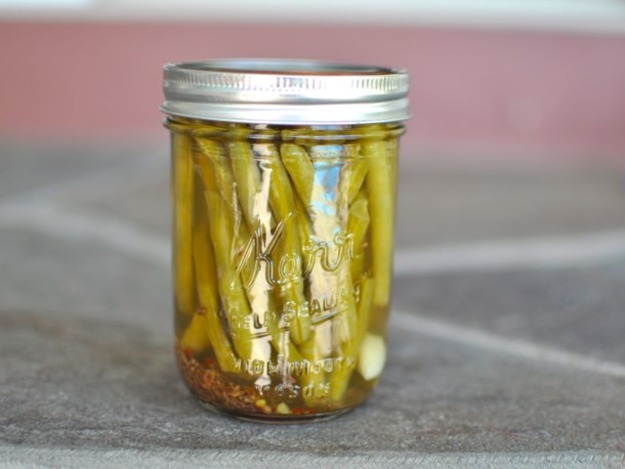 It seems interesting because it is another way to preserve your green beans beyond the traditional way. By the end of winter, you hope for a little variety so I’m going to remember that this year and try a few new items, beginning with this one. Did I mention that my family and I are spicy fanatics? I thought so. Well, we are. 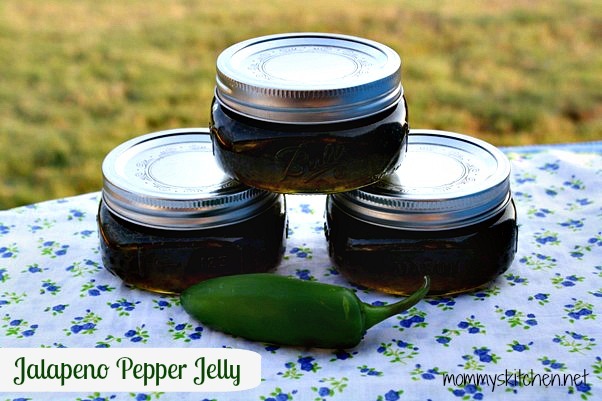 Cowboy Candy is one more way of preserving jalapenos. It takes some of the edge off of their overwhelming spiciness at times and makes them more palatable. Cowboy Candy goes great on Mexican cuisine; in your breakfast eggs; and of course, on hot sandwiches. 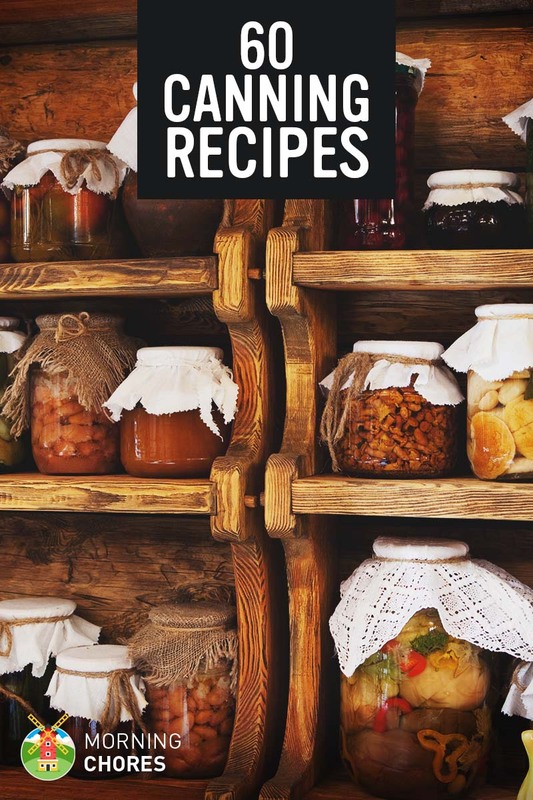 These are some of the 60 best recipes to use for canning this season. 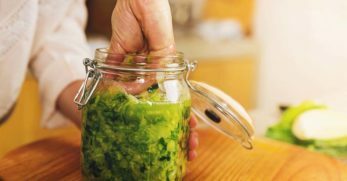 They will help preserve your garden in a few different ways and stock up your pantry too.